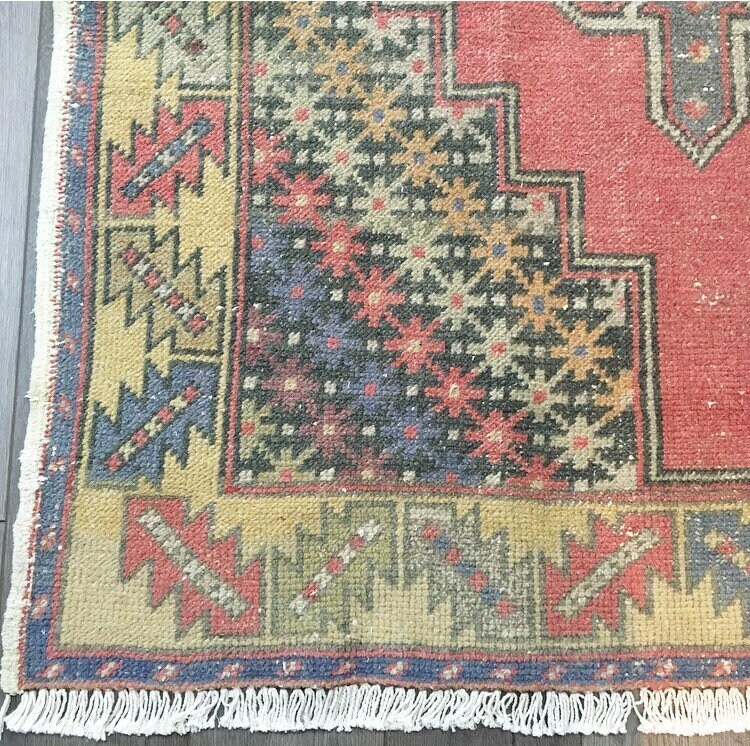 A bright and cheerful classic Oushak in red with navy, grey, blue, green and yellow detail in unique geometric shapes. 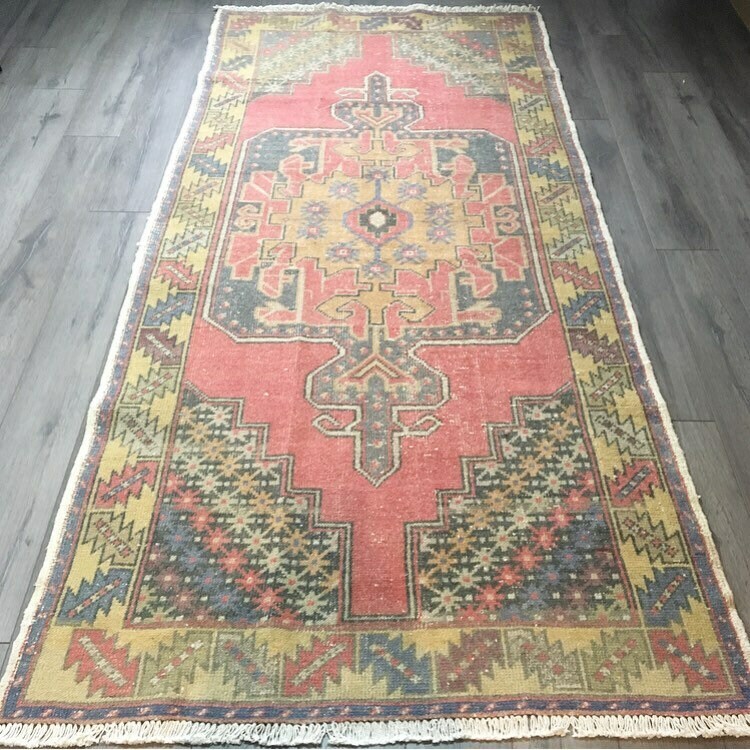 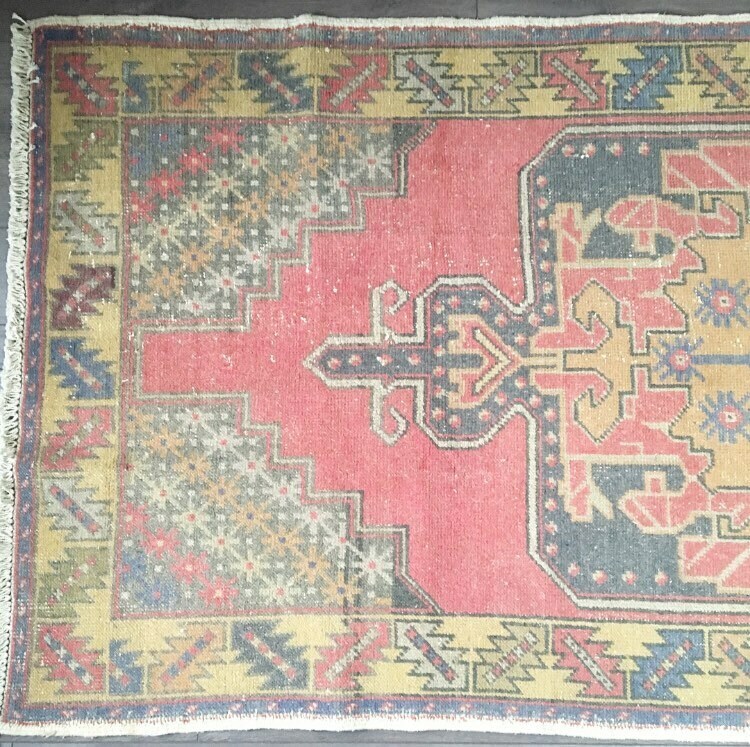 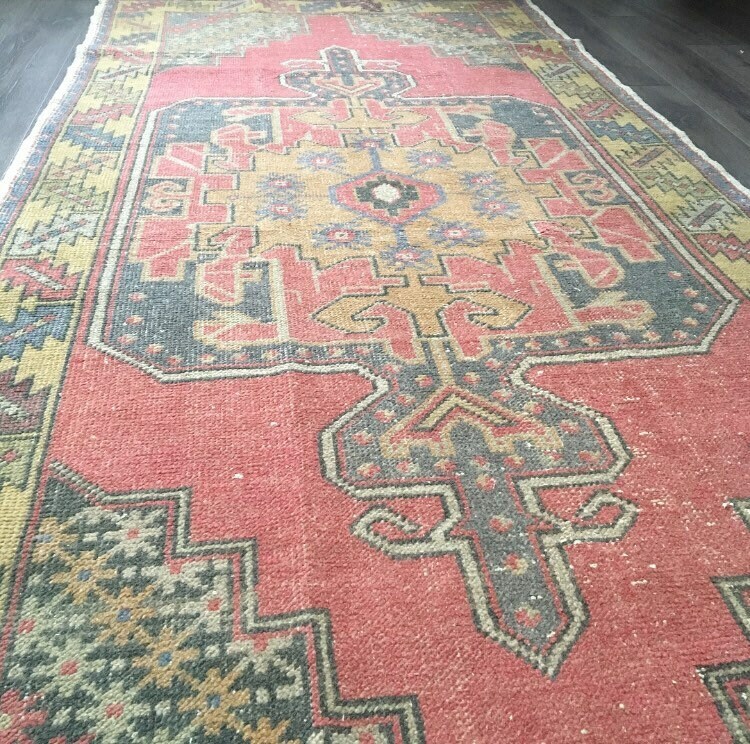 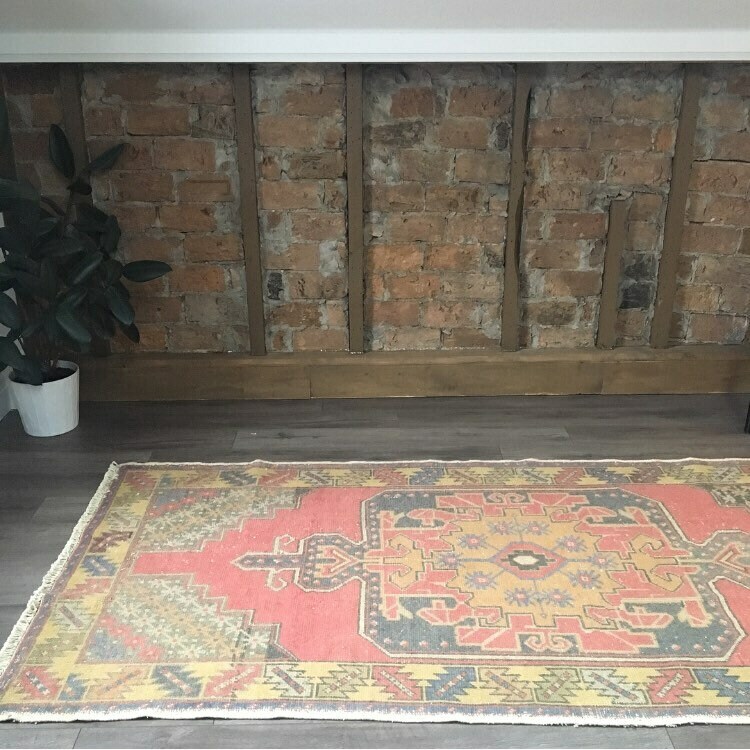 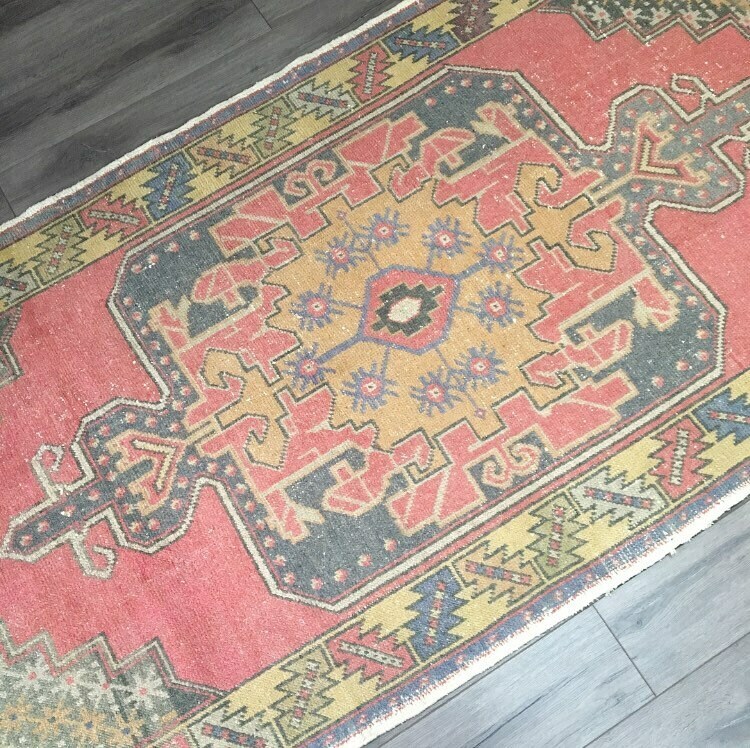 This rug is in great vintage condition and would be amazing on a covered porch, in a kids room or playroom, or anywhere you’re looking for a pop of traditional primary colours. 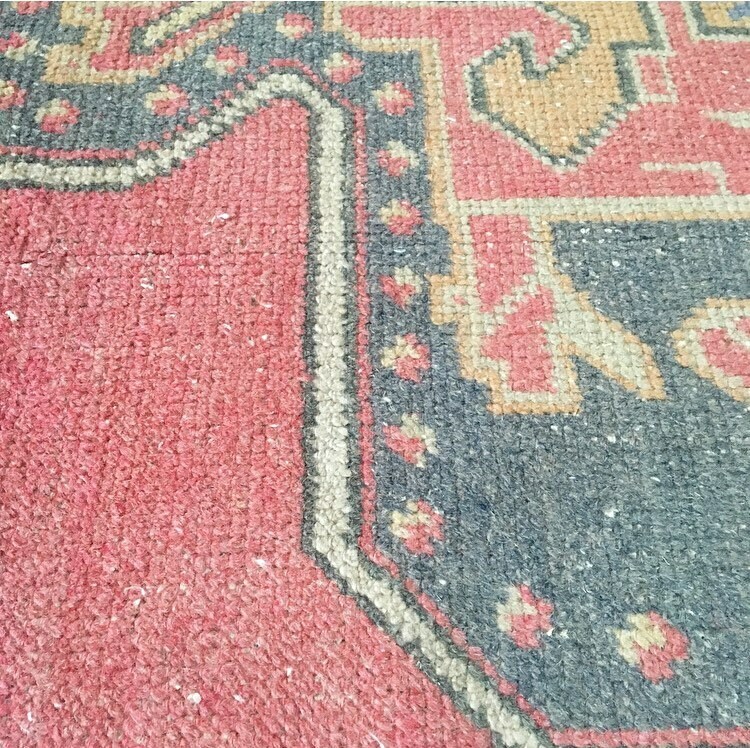 This rug has been professionally cleaned and is ready for your floor!